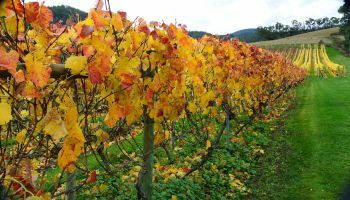 Boutique Wine Tours Tasmania | Fine wines, art, history & culture. Premium Tasmanian wine half & full day tours for small groups including wine tasting, vineyard tours and Mona. WELCOME TO TASMANIA, THE ISLAND WITH LATITUDE ! CLOSED FOR TOURS BETWEEN 11/APRIL & 21/MAY 2019. Boutique Wine Tours Tasmania, the MONA tour specialist, offers quality, intimate, day tours to some of the best Tasmanian cool climate vineyards in the Coal Valley and southern Tasmanian region. What sets us apart, is the great relationships we have developed with cellar door staff, the vineyard owners and the cheese producers over several years of successful operation. We love what we do, and so do the people you meet on tour, all who have great stories to tell. Not only do we taste great wines, but on all our MONA, & Richmond Sunday to Friday tours, we serve delicious premium Tasmanian produce platters. We believe that quality tasting experiences verses quantity, gives you the time to experience the beautiful surrounds, whilst sipping on premium Tasmanian cool climate wines. Visiting MONA whilst in Hobart?, let us take care of you. Why waste time driving to just one distillery, when on our Richmond Tours, we can offer tastings from several of Tasmania’s finest distilleries in one place! We can assist you with an optional extra to taste Whisky, Gin and Vodka at the Richmond Tasting House. Distilleries showcased include,Sullivans Cove Nant, Lark, Helleyers Road, Tasmanian Distillery, Belgrove, McHenry and Old Hobart Distillery. This and so much more available to taste! Why not get your friends together and book the bus for your exclusive use - maximum 13 passengers. We advise travel insurance is purchased for any unforseen circumstances that may arise that could impact on you missing you tour. Join one of our great wine tours departing from the Hobart CBD and experience fine Tasmanian wines, Richmond and MONA. The Coal River Valley located 20 minutes from Hobart Tasmania, surrounds the historic village of Richmond. With latitude similar to New Zealand and France, this region produces some of the finest cool-climate wine in Australia and is known for its award winning Pinot Noir's & Rieslings. These wines are more similar to those produced in Europe, than the warmer climate wines made on mainland Australia. We offer a choice of half day or full day tours that includes MONA, to this region departing from Hobart. Stay in touch and "like us", and join the conversation. Gift certificates - A great gift idea!